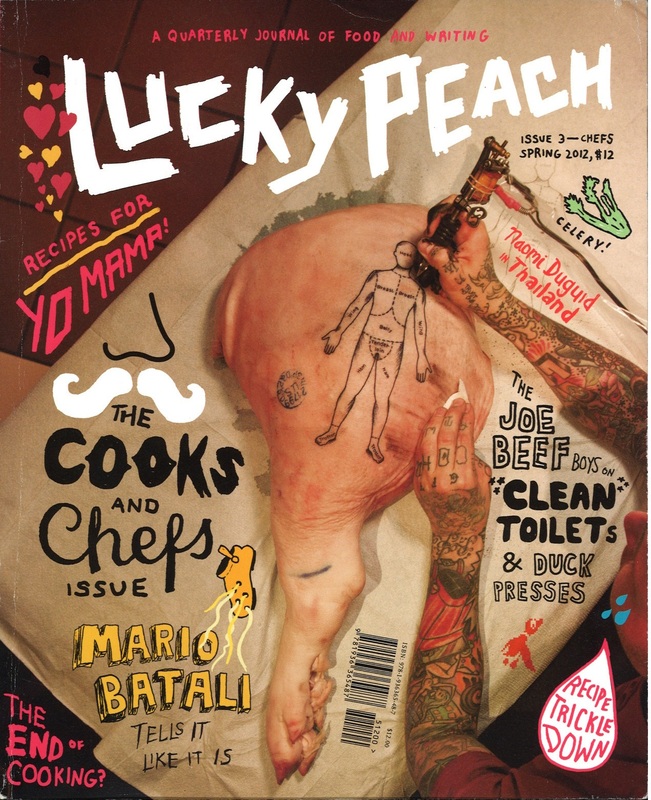 Lucky Peach is the product of superstar chef David Chang (Momofuku), the writer Peter Meehan, and editor Chris Ying (Anthony Bourdain is also listed as a contributor). 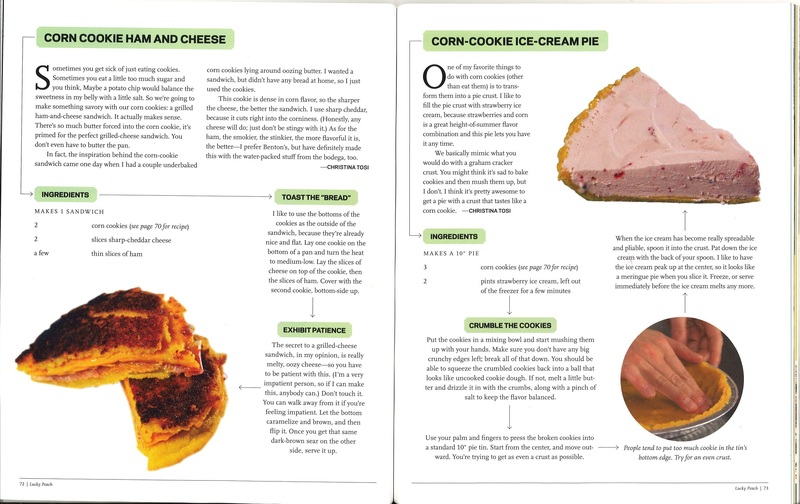 This whimsically illustrated and humorously annotated magazine should be a staple for food enthusiasts. 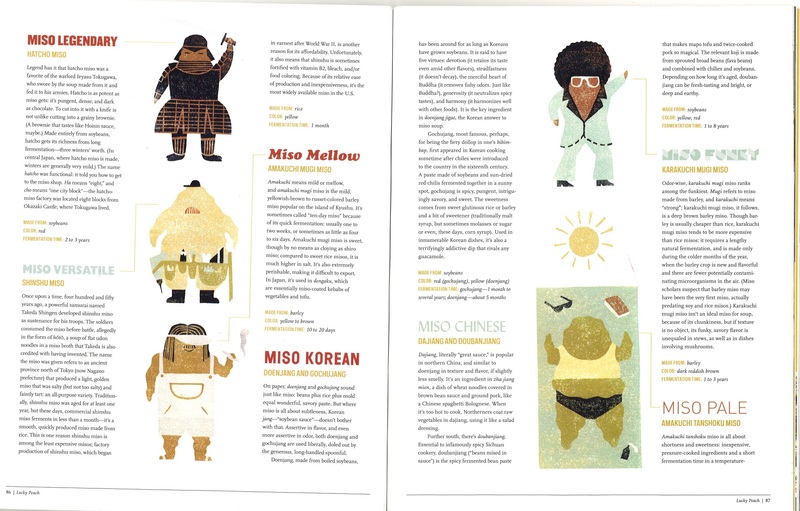 Each issue has a running food-related theme featuring recipes, interviews, reviews and the occasional science lesson (the microbiology of miso? 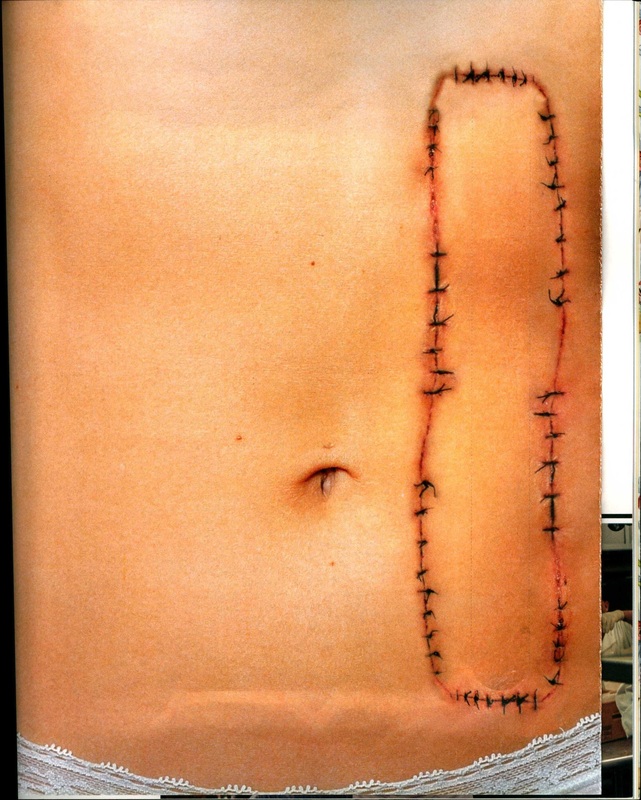 my guts feel better already). 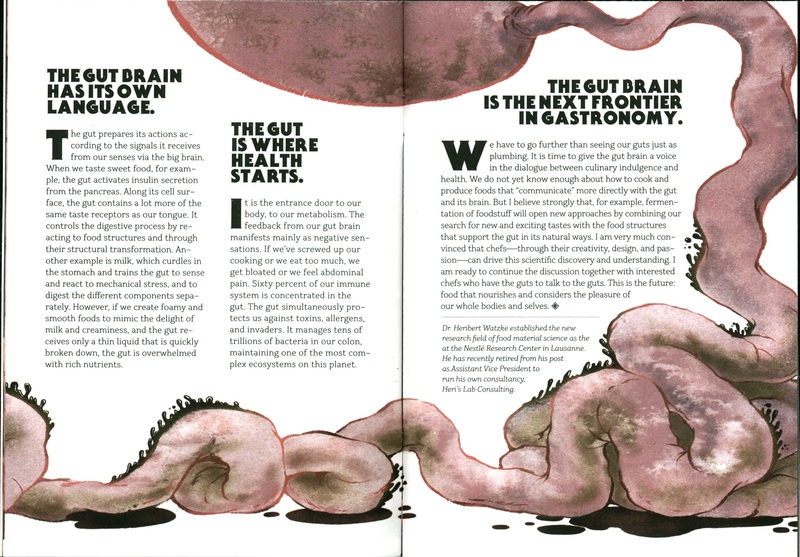 The artwork is not to go understated though- the graphic design, photography and especially the illustration really push this journal over the top. 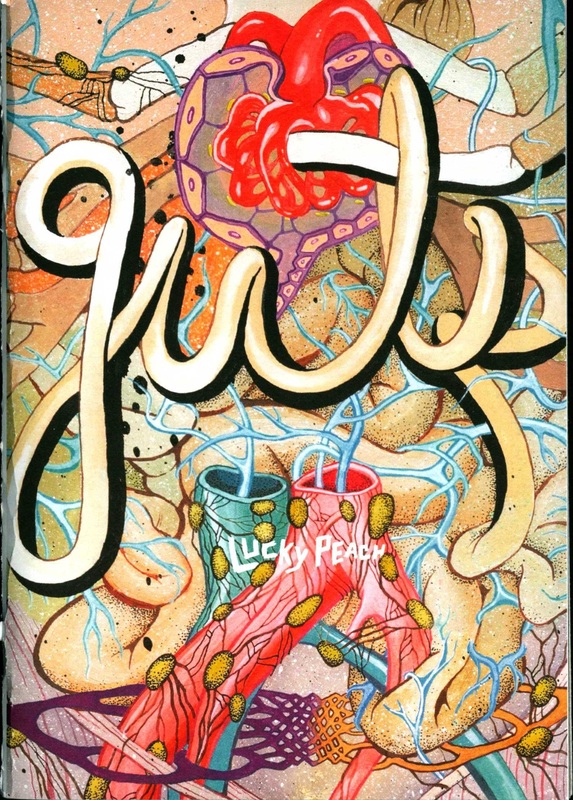 The outside of the pouch and front cover is by Celeste Byres. 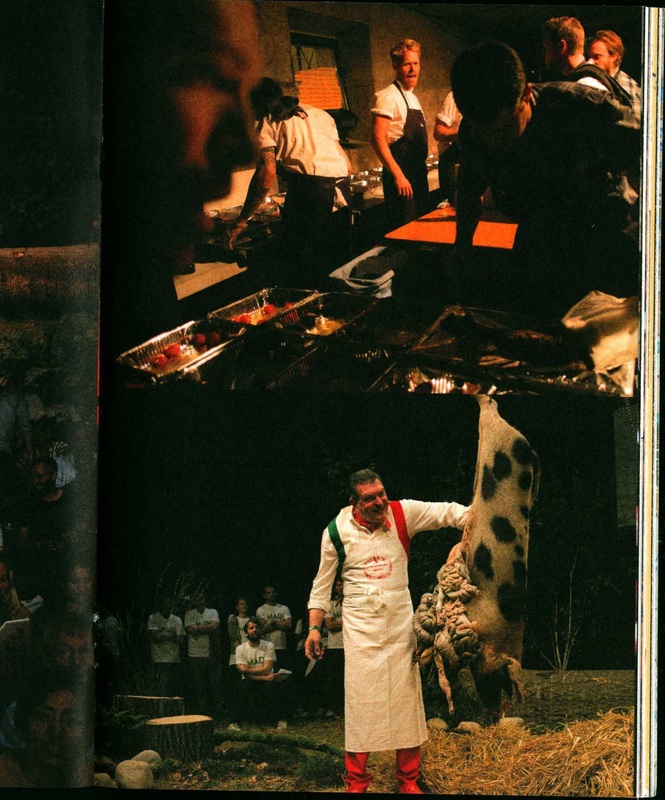 Pictured below is Dario Cecchini “vivisecting a pig while reciting Dante” (from the editors note by Chris Ying). Illustration below by Kelsey Short. 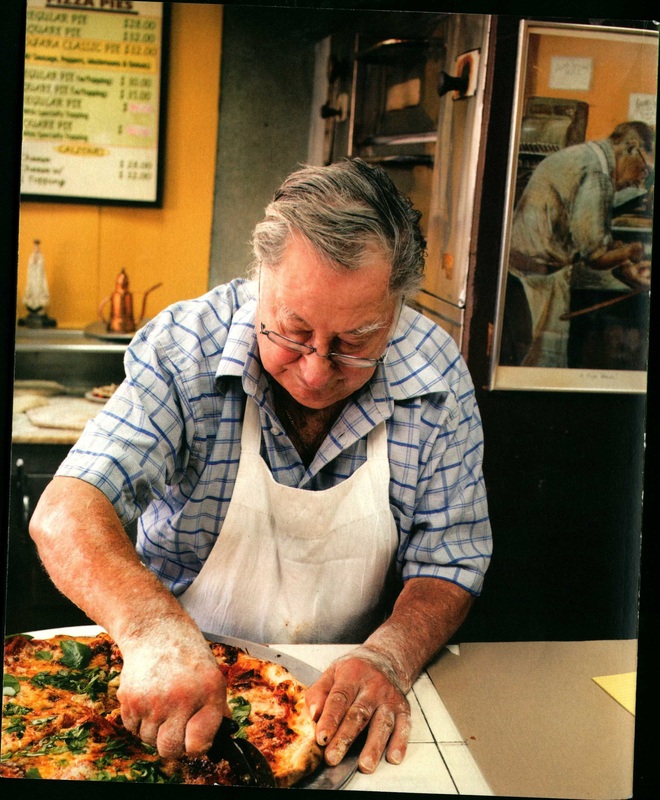 On the back cover of issue n. 9 of Lucky Peach is Domenico DeMarco of Di Fara Pizza in Midwood, Brooklyn (a pizzeria in my personal top 2) (photo by Gabriele Stabile) from an article called “The Specialists” about individuals that do one thing perfectly. Our collection begins with n. 2. 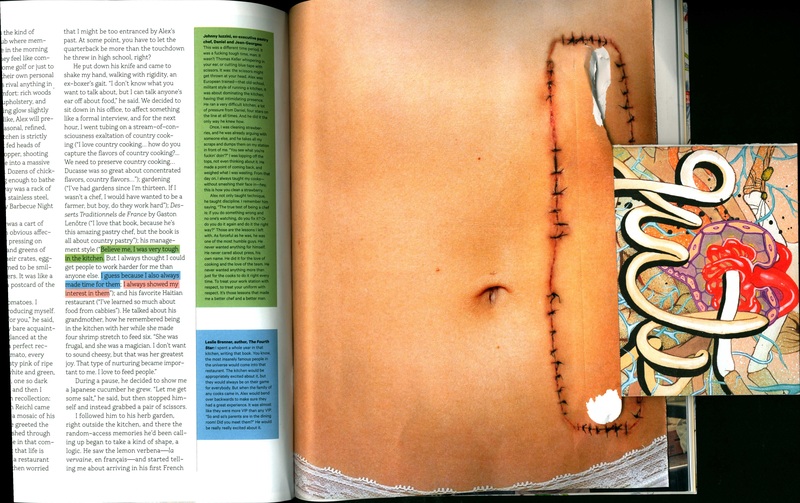 Below are a few highlights from the back issue. Dig in. 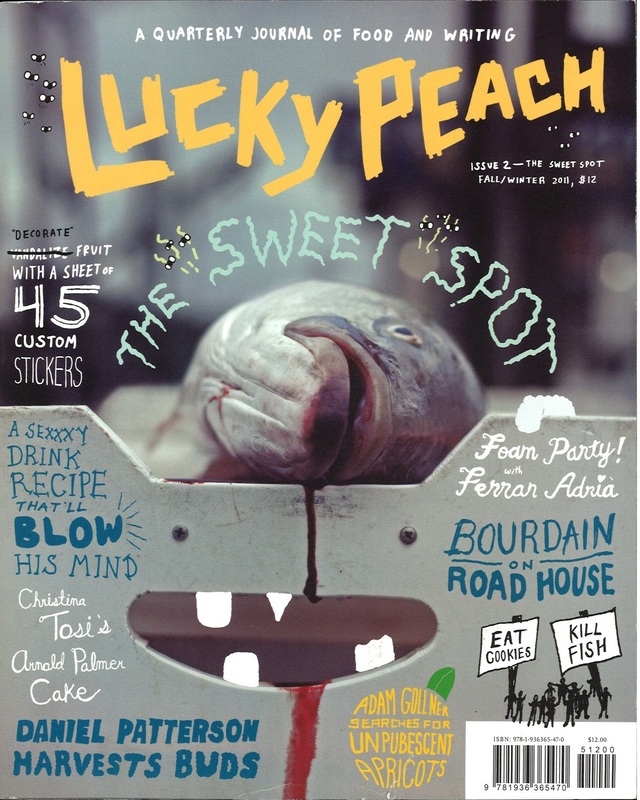 Issue number 2 (above) is all about “The Sweet Spot”- Striving for culinary perfection and efficiency. 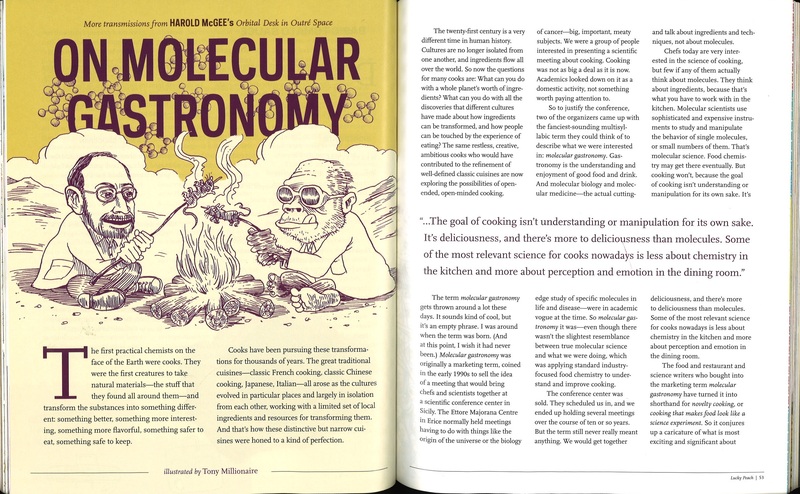 Number 3 is “The Cooks and Chefs” issue. It explores the ‘celebrity chef’, the stay-at-home chef and all other walks of food-cooking-folk. Know what your eating on a microscopic level. 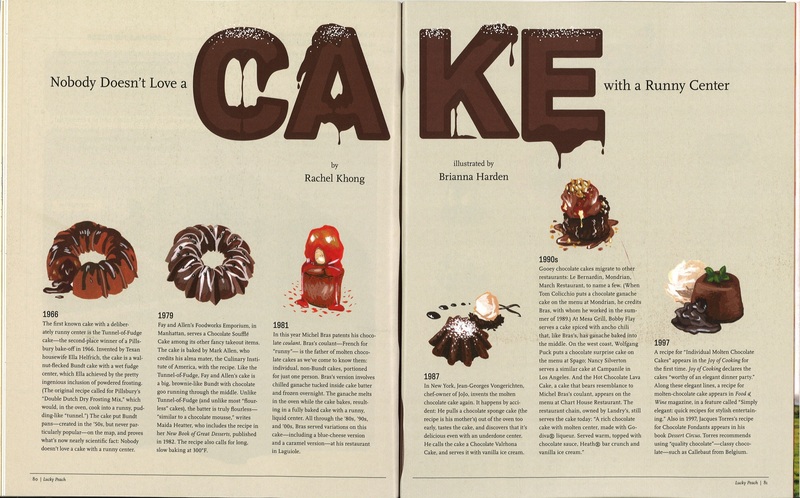 A brief history of cake. 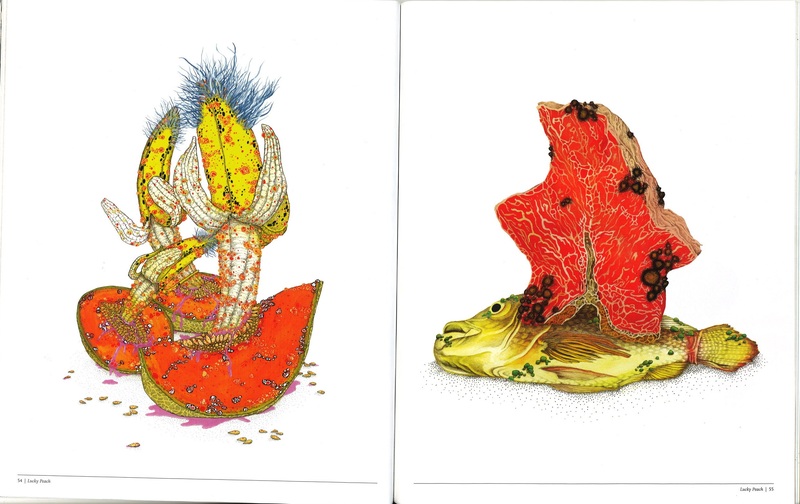 Some bonus illustrations of things you don’t want to find in the back of your fridge.